All Globe Prepaid, Postpaid, and TM customers have a chance to help restore the Philippines’ primary rainforest cover when they donate their Rewards points to Hineleban Foundation by March 31, 2019. Hineleban (He-ne-leu-ban) is a Sacred Binukid term literally meaning “Mother Tree of the rainforest that sustains the cycle of all life”. Hineleban Foundation is a non-stock, non-profit organization based in Bukidnon, Mindanao. Their vision is to ensure the nation’s water, food, and human security by reforesting the mountain ranges of Mindanao, home to the country’s last watersheds. These ranges are inhabited by Indigenous People (IP’s) and Bangsamoro communities. Hineleban Foundation together with Globe, have partnered in this enormous task by entering into a Sacred Customary Compact with the IP’s and a Peace and Development role with the Bangsamoro People, agreeing to join efforts by identifying steps to fulfill this dream. “We continue our commitment to environmental sustainability and want to make it easier for our customers and stakeholders to integrate it into their lives. We encourage everyone to spread the word to their families and friends so that more aid could be provided to our country’s primary rainforests. We believe that through small, simple ways, anyone can contribute in preserving and protecting the environment including our rainforests,” said Yoly Crisanto, Globe Chief Sustainability Officer and Senior Vice President for Corporate Communications. 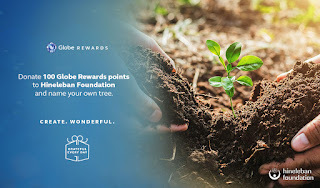 Be part of the rainforestation advocacy by easily donating your Globe Rewards points. 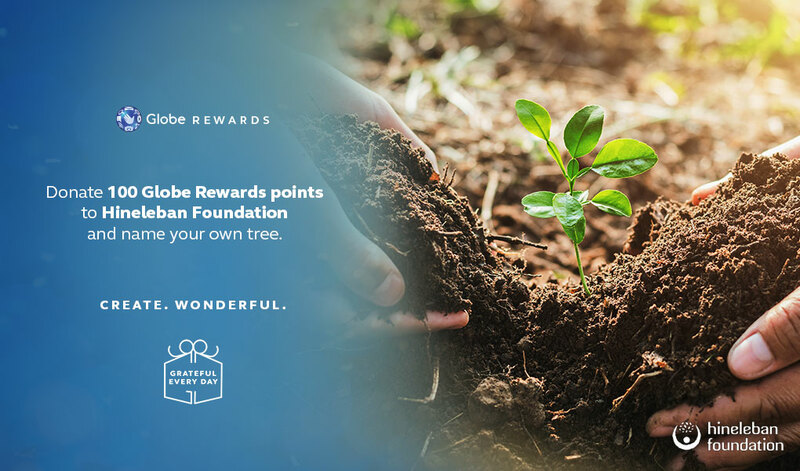 Every 100 Rewards points donation is equivalent to one tree. To donate, just download the Globe Rewards app on your mobile device and click the “DONATE” banner. Tap “HELP100” and press “REDEEM”. Upon receiving the confirmation message, tap on the Hineleban site to name your tree. Enter your name, email, mobile number, and tree name, then wait for a confirmation prompt that you have successfully named your tree. Globe and Hineleban Foundation’s partnership began in December 2016, whose combined efforts are currently reforesting 300 hectares of denuded primary rainforests, a fraction of the 44,000 hectares surveyed and targeted by Hineleban Foundation in Bukidnon and Lanao del Sur. The program born from the Globe-Hineleban partnership is structured into five phases over a 5-year period, lasting until December 2021. The reforestation process begins with the planting of calliandra to quell acidic cogonal grass. This is followed by the planting of tree species that are ideal for agroforestry, including brazilian fire trees and Caribbean pine trees. Intercropping then becomes the objective, with 600 indigenous tree species per hectare planted to secure the area as a permanent watershed. Some of the species grown are almon, bagtikan, mayapis, apitong, red lauan, palosapis, white lauan, olayan, katii and nato. Hineleban Foundation’s reforestation methodology is internationally recognized, having received the Grand Prize Award for best project in the forestry sector, from the Agricultural Research Centre for International Development and the French Development Agency in 2015. Aside from its partnership with Hineleban Foundation, Globe also pursues other environmental sustainability advocacies as part of its responsible corporate citizenship. In 2015, Globe launched its paperless billing campaign to contribute to the United Nations’ Sustainable Development Goal of Life on Land–centered on protecting, restoring and promoting sustainable use of terrestrial ecosystems, sustainably manage forests, combat desertification, halt and reverse land degradation and biodiversity loss. Today, Globe customers now have an option to simply receive their monthly billings via email. In 2018, it also spearheaded 2 Marine Biodiversity Conservation Workshops for Sustainable Business Practices in Boracay Island and Siargao. 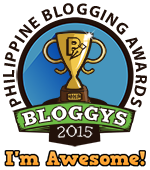 This is in partnership with Save Philippine Seas. Be an advocate and visit hineleban.org to know more about Hineleban Foundation. For more information about Globe and its #GlobeOfGood stories, follow Globe Bridging Communities on Facebook.